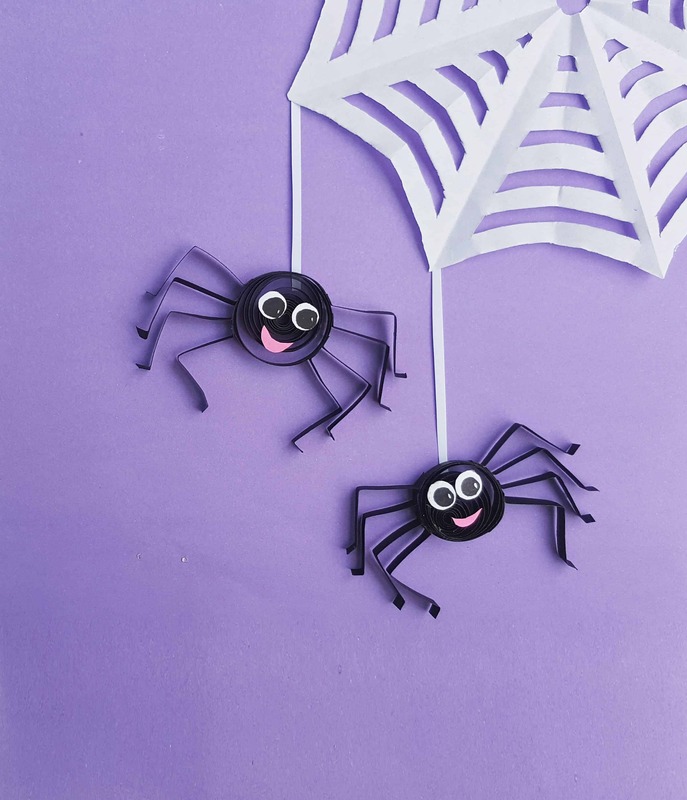 This Quilled Spider is a super fun Halloween halloween paper art craft. If you haven’t done quilled art, this is a fun Halloween quilled tutorial for beginners. Quilled paper art makes fun holiday crafts for quilled card making, holiday decorations or a fun halloween craft for kids. 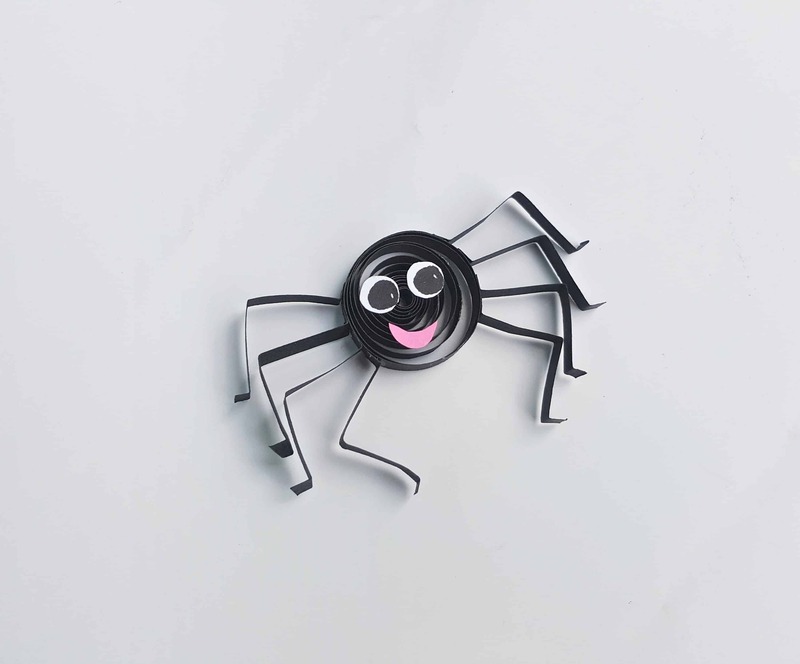 This adorable quilled spider is fun to make but looks super cute. 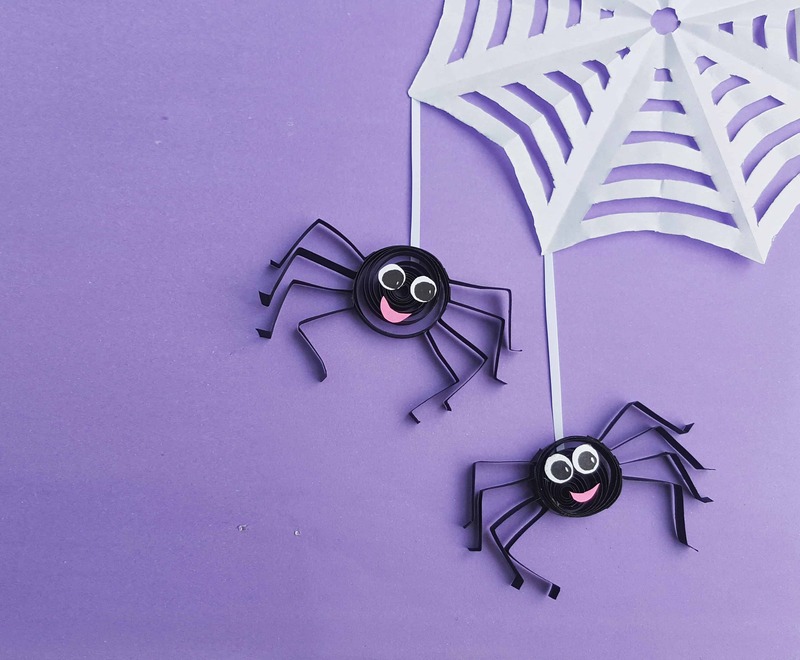 Your kids will have so much fun making them as a teacher gift on a quilled halloween card or to decorate your house for Halloween. This quilled tutorial will help give you the basics to make any holiday quilling project your desire. Many of the supplies you will have on hand. I recommend buying the quilling tools because it makes these projects a lot easier. You might also want to check out our adorable Quilled Pumpkin Paper Quilling craft. 1. 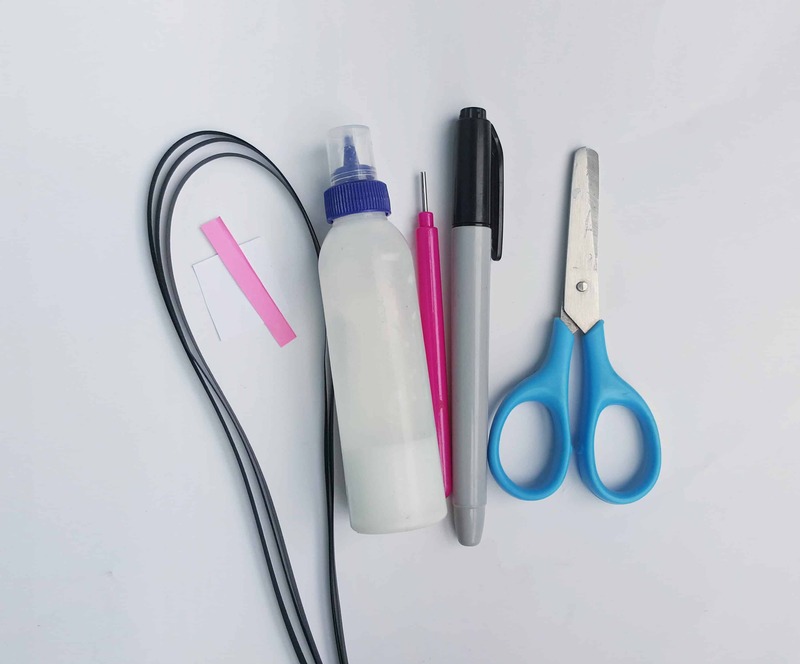 Take a 20 inches long (or more) quilling strip and coil the entire strip with the help of the slotted quilling tool. 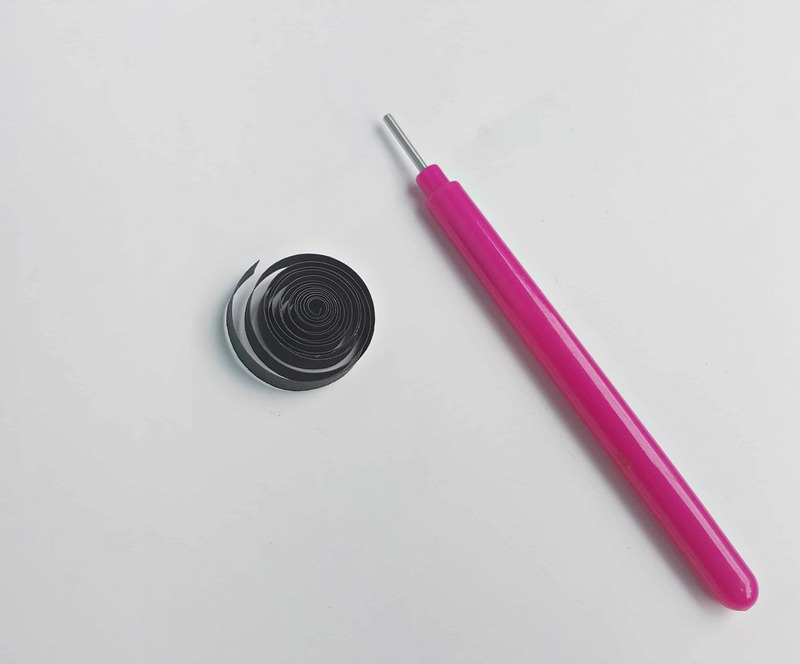 Take out the coil from the tool and place it on a flat surface; allow the coil to loosen up. Once you are satisfied with the coil size, glue the open end of the coil to secure it. 2. 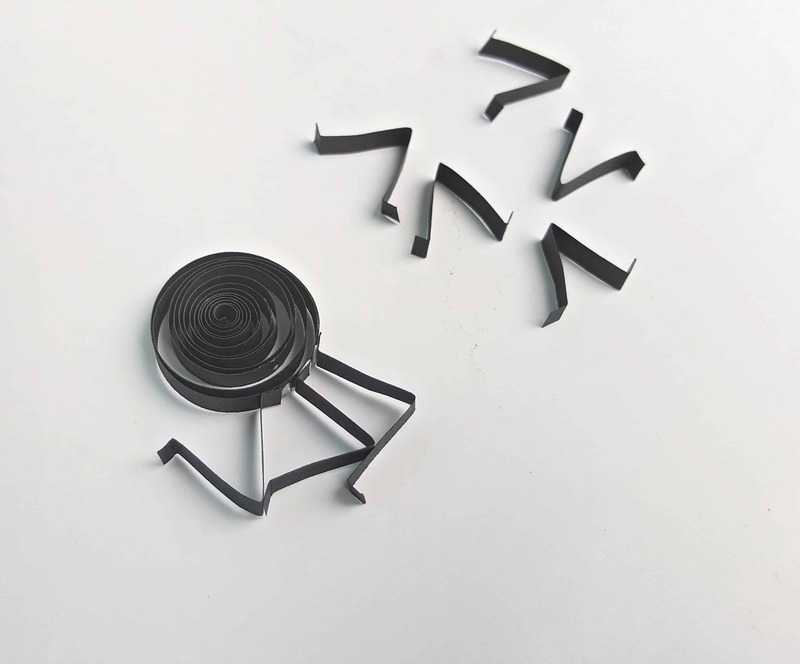 Determine the size of the spider legs and cut out 8 pieces from a quilling strip according to it. 3. 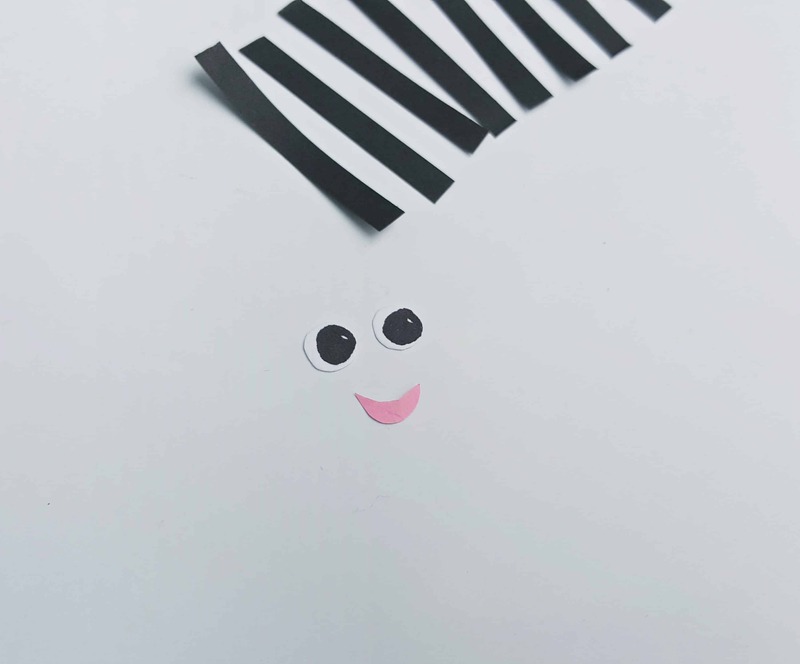 Also, Cut out 2 round shapes from white craft paper for the eyes (size of the eyes would depend on the size of the loose coil prepared in step one); use the black sharpie to draw the eye balls on the white cut outs. Cut out the mouth from pink craft paper. 4. 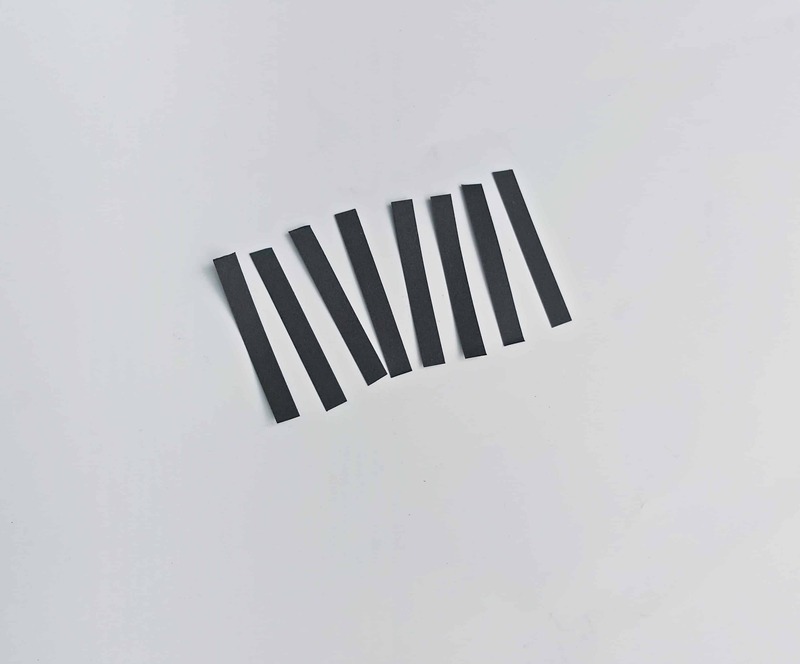 Take any one of the strips prepared in step two and fold it into half. Then, fold 0.5 cm from its open ends. Similarly prepare the rest of them. These are the spider legs. 5. Take the loose coil and start to glue the legs around its side. 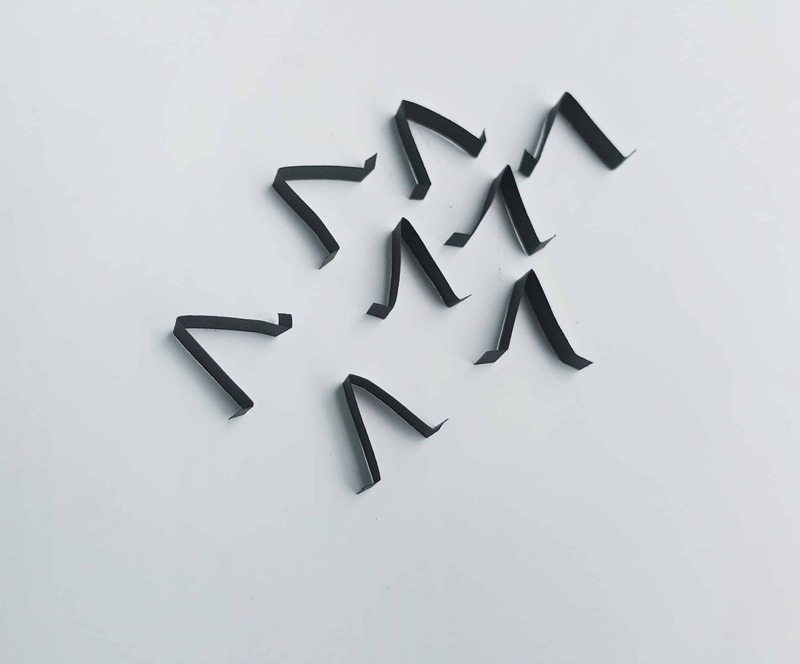 Simply apply glue on any one of the 0.5 cm folded parts of the legs and attach it with the loose coil shape on its side. 6. Attach all 8 legs; 4 legs on each side. 7. 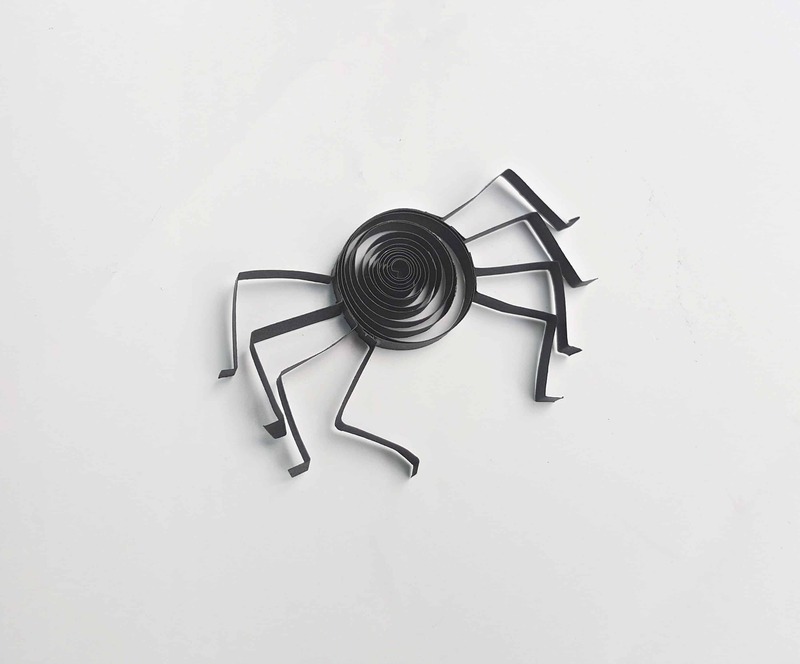 Finally stick the eyes and the mouth on the loose coil to complete the spider. Allow the glue to dry.